I have never been particularly good with plants. Or small, non noise-making pets (like fish). In fact, when we left Virginia, I straight up forgot that I had a beta fish. That’s not terribly surprising considering that I had a new baby to look after, Mark was gearing up for a 14 month deployment to Iraq (later changed to 7 months), I was moving across country by myself and I graduated from college all in about 3 short months. The sad part is that even before that, waaaay before that, my poor fish was neglected. At one point, there was about an inch of water in his tank, because I just forgot I even had a fish. It was horrible, I admit. 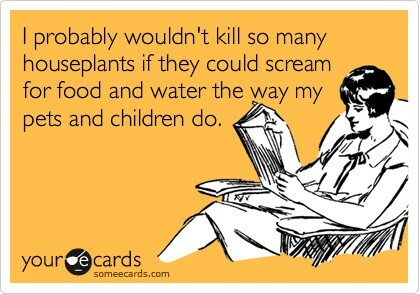 So, caring for silent living things has never been my strength. But here we are in Nicaragua, working in a center for children, where an agriculture education is not just a good idea but nearly a requirement for providing for a family. Part of being self sufficient here is being able to plant and harvest. So I am learning how to plant and harvest. While this isn’t a requirement for me, per se, if we are responsible for teaching these skills to the kids, I feel like I should at least try to learn them myself. To that end we have pineapple plants, peppers, watermelon, a lone cantaloupe, tomatoes and cilantro in the garden. I’m doing my best to care for them and they seem happy so far. I guess in a few months we’ll really see how my skills are. One of the most exciting things about this is that the older kids have been excited to help me! They are all interested in growing things that they can eat when they want, and if we have a huge crop of something (peppers, most likely) we can trade them for eggs or fruit. Our goal is to show the kids that they don’t have to grow everything, but if they can plan out a crop and grow it well, that can be used as money in this economy. In addition to this, we are soon going to be raising rabbits, and changing our primary meat source (in the home) to bunny. Mark has been telling me that it’s a very good meat so hopefully I will learn to cook it well. Mark is also still looking into raising fish here…that’s probably a couple of years down the road though. Anyway, I’m feeling a lot more like a farmer’s wife than I ever have before, and surprisingly, I’m enjoying it! I’m following through on my garden, and I look forward to the day that I can make a meal entirely of food that has grown in my garden. If you have a great gardening tip or perhaps a rabbit recipe, pass it along! I need all the help I can get! Glad to hear that the garden is thriving. I am looking forward to helping out. Are there any seeds that I might pick up while I am here? My doctor suggested Arugula, a lettucelike veggie that grows well in hot humid areas and is good in salads instead of lettuce. .